The CMA has been working with the car rental industry to help make things clearer for you when you rent a car. We’ve been leading a project where we worked with the European Commission and other European Union countries to look at how car rental companies could improve their processes when dealing with consumers. Our work has led to the 5 leading European car rental companies - Avis-Budget, Enterprise Rent-a-Car, Europcar, Hertz and Sixt - agreeing to improve their existing practices. This will benefit motorists renting cars in the UK and in Europe. Make it easier for you to shop around for the best deal by putting upfront more of the information you need to compare quotes on the booking and reservation section of websites. Give you better information at the booking stage about optional waiver and insurance products - including prices for these and any exclusions that apply. A waiver or insurance can reduce the amount you have to pay if you damage the vehicle or it’s stolen. Provide more information upfront to you about how they inspect their rental cars for damage, before and after you've rented them. Ensure that you're given a reasonable opportunity to dispute any damage charges before they're taken from your credit or debit card. 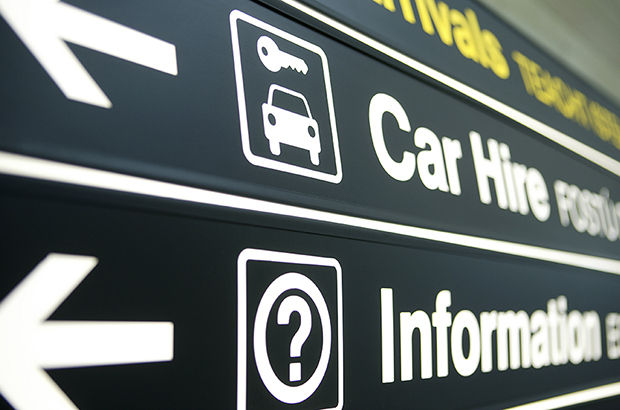 These changes will see consumers given clearer information upfront about their car rental. But we’re keen to see other car rental companies take note and, where necessary, make similar improvements to the way they do business. To make this happen, we’ve also been working closely with the British Vehicle Rental and Leasing Association, which represents the majority of UK car rental firms. It has made significant improvements to its Code of Conduct and will introduce a revised version early in 2016. We’ve published a short summary which includes advice on what you should look out for when you rent a car, and how you can avoid any nasty surprises. You don’t always have to buy a waiver from the rental company if you want to protect yourself against the costs of damage to the car. Consider shopping around for alternative insurance from an independent provider - but check that your car rental provider accepts other companies’ insurance before you do. Although they have similar purposes, insurance and waivers work in different ways. With insurance, you pay the excess in the event of damage and reclaim the amount from the insurance provider. With a waiver, the car rental company agrees to reduce the extent of your liability for the excess amount. Pay attention to any ‘exclusions’ in waivers or insurance - as not all damage may be covered. Damage to window glass, tyres, the roof and undercarriage of the car are excluded from some products. So, if you want those things covered, be sure to check they are included in your deal. If you do have a problem with a car rental, you can get advice and help to resolve it. Contact details for organisations that can help you are in our advice for consumers. I heard James Mc Beth recently on a BBC radio consumer programme talking about the issues associated with car rental and I note that [a major company] are listed as a party to better practice. Sorry but despite complaining three times and each time receiving a self generating reply that it would be dealt with between 10 - 15 days, none ever have been forthcoming. It seems a circular process and designed to appear to be good practice but hope that you will get fed up and go away. Today on the same BBC consumer program it was said that if one felt that you had been "conned" by a supplier even the credit card company must represent you. Yet their only response to me originally was "you signed the contract!" Under duress and tired are not normal grounds for complaint. I feel that [this company] are pretending to be a good company but in your eyes only. I heard you in You and Yours talking about car rental companies. I booked a car in Spain through a UK broker and took out the brokers full insurance. The car rolled backwards after being parked for an hour and went off the edge of a drive getting damaged. I tried to claim off the broker and they said that the damage was either caused by a mechanical fault (the rental companies problem) or negligence (my fault) and neither were covered. I contacted the insurance ombudsman and they told me that the company was not an insurance company. This company was mentioned in a large budgeting website but it seems that this company and maybe others are selling what looks like insurance at a price that is cheaper than other car rental companies but they are misrepresenting what they are selling and giving them an unfair advantage over competitors but also then refusing to pay up when needed. If contacted I will provide full evidence of the above. Sorry to hear of the problems you have experienced.